Draft Your Novel This Month! 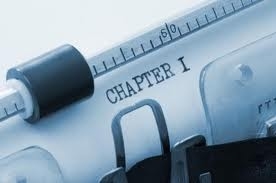 November is National Novel Writing Month, known to writers as NaNoWriMo. The challenge: Write a complete first draft of a 50,000-word novel in 30 days. The pace is grueling, especially if you are also balancing a full-time job and a family, and the result might not be publishable. Appealing, right? I have never participated in NaNoWriMo, but the point is to write. Write. Write. Write. Don't think about revisions. Don't think about publication. Just get your ideas on your computer from beginning to end. I originally planned on using this month to share stories of writers who have participated in NaNoWriMo. Then Sandy happened, and other things seemed more important. However, if you have an experience that you'd like to share, please email me at the address below. Be sure to put your story in the body of the email and write NaNoWriMo in the subject line. Good luck!